We believe that everyone should have the opportunity to live, work and thrive as part of their community, regardless of ability. For adults with developmental disabilities, having the opportunity to have their own place to call home is just one part of that that equation. 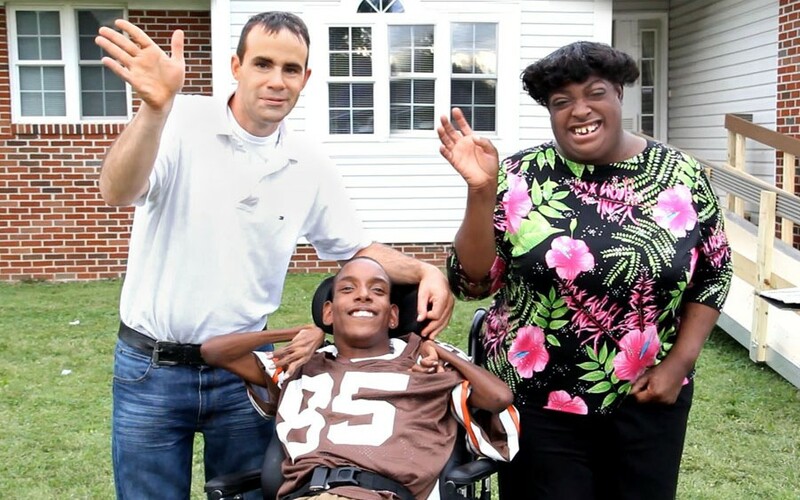 There are about 600 adults with developmental disabilities who live in shared residences (sometimes referred to as group homes) throughout Summit County. Shared living, or a home or apartment that adults with disabilities rent with roommates, offers an alternative to large institutions. More importantly, shared living gives people the opportunity to engage in community living and increase independence. Chris, who shares a home with two roommates in a quiet residential neighborhood, says he enjoys spending time with them. “We’re not just roommates, we’re family,” he explained. The three are able to cut down on living expenses by sharing a home, as well as strengthen their friendship with one another. Like Chris, those in shared living residences receive support from Summit DD and private residential services providers. While Summit DD is there to coordinate any in-home residential services, the private organizations such as REM, Hattie Larlham or others, provide the hands-on support residents need to live independently. Tenants pay for their living expenses through their own income, which is sometimes supplemented with cost to live assistance, funded by Summit DD. Shared living residents are often staffed 24/7. The number of staff providing assistance and the type of support required in each home is determined by the resident’s ISP. These residential supports are typically paid for by federally funded Waivers. To help find a home or apply for funding, an individual can lean on his team, which may include his Service and Support Administrator (SSA), a family member, or other close acquaintance. While Summit DD does not own or provide in-home services, a person’s SSA is the perfect resource to help locate options for homes in a community based on that person’s own preferences. “It’s important that our homes meet the accessibility or other unique needs of those we serve,” stated Tom Jacobs, Executive Director of Summit Housing Development Corporation, one of the many quality housing providers in Summit County. “We handle all of the repair and maintenance issues to support residents in our homes,” he continued. Everyone has the right to be an active member of their community. Shared living and residential services provide adults with disabilities the opportunity and support to live healthy and meaningful lives as part of their own communities. Contact Us to learn more about shared living for yourself or a loved one.